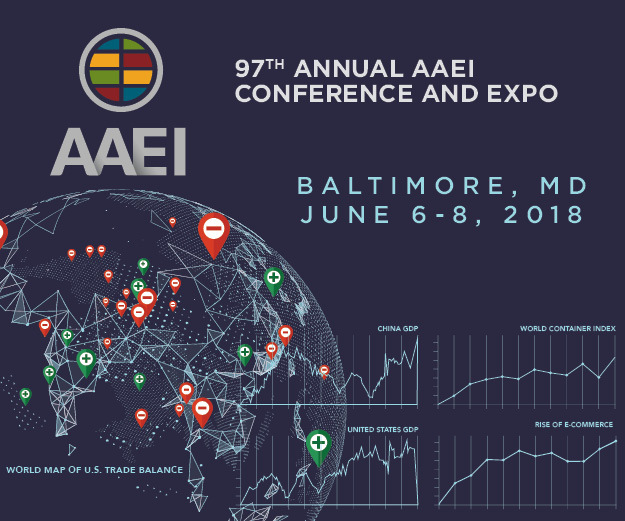 The 97th Annual AAEI Conference and Expo delivered on its commitment to the international trade community with an event in Baltimore, Maryland in June 2018 that brought into sharp focus the colliding waves of anti-globalist trade policy and the exploding frontiers of trade technologies. Panel after panel discussed the practical impact of working under these two contradicting counterpoints. Planning for the 98th Annual AAEI Conference and Expo is underway and working on building upon the success of this year’s conference program. The 2019 annual conference will be held June 26-28, 2019 in Washington, DC at the Renaissance Washington, DC Downtown Hotel. Among the features that attendees in Baltimore enjoyed were keynote speeches by U.S. Assistant Secretary of Commerce for Export Administration Rich Ashooh and U.S. Customs and Border Protection Commissioner Kevin McAleenan. More information on next year’s conference will be published here when it becomes available.